As a lead-up to World Environment Day on June 5, environmental justice groups and citizens are launching an unprecedented coordinated waste and brand audits in key cities in India. 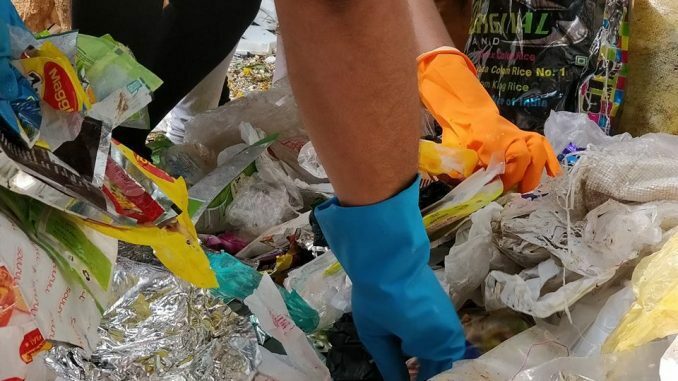 Scheduled from May 16 to May 30 in the cities of Delhi, Pune, Mumbai, Chennai, and Bengaluru along with various cities in Goa, Kerala, and 12 Himalayan States, the audits seek to highlight the role of corporations in the global plastic waste crisis, results of which will be published on 4th June. “Through these audits, we want to put the spotlight on corporations who have been responsible for the manufacturing, distribution, and proliferation of non-recyclable and single-use plastic packaging that ends up in our landfills, oceans and waterways,” Pratibha Sharma, India Coordinator of the Global Alliance for Incinerator Alternatives (GAIA) Asia Pacific, said. “The activity aims to gather important data to call for innovations in product packaging and delivery systems to ensure that plastic waste is drastically reduced and that NOTHING ends up in our oceans, landfills, and other disposal facilities,” she added. India produces a whopping 62 million tonnes of waste every year. A staggering 43 million tonnes of solid waste is collected annually, out of which only 11.9 million or 22-28% is treated, while about 31 million tonnes of waste is left untreated and dumped in landfill sites. The waste and particularly plastic menace for Indian cities is compounded because of the poor state of solid waste management and the inadequate infrastructure for sewerage and stormwater drainage. India’s Plastics Waste Management Rules 2016 emphasises the phase-out of non-recyclable multi-layered plastics by March 2018, and requires manufacturers, producers, and users of non-recyclable packaging to either pay municipalities for the cost of managing such waste, or arrange to take it back and manage its disposal themselves. While there have been attempts by local governments to ban plastic bags and single-use plastic in various cities of India, the move has received backlash from the plastic industry. As a result, the Plastic Waste Management Rules were amended to benefit businesses manufacturing and using plastic especially Fast Moving Consumer Goods (FMCG) companies. The current amendment gives plastic producers a scope to argue that their products can be put to some other use, if not recycled. This move tantamount to revoking a complete ban which it had implied earlier. This type of plastic was supposed to be banned by March 2018, but it is nowhere near a phase-out. 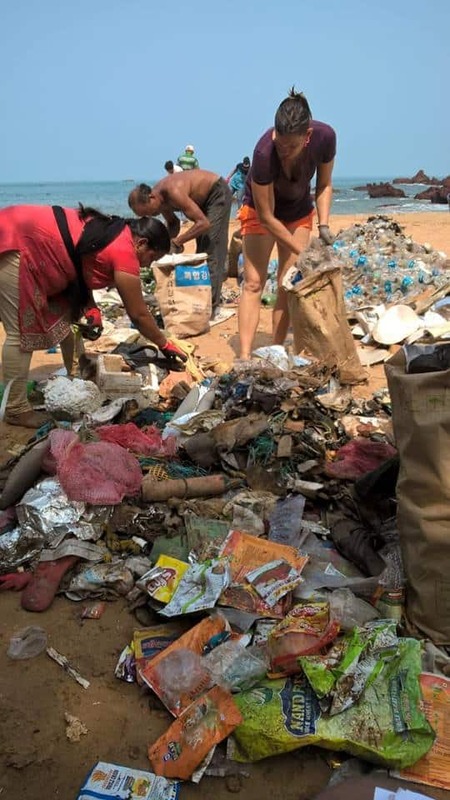 According to Sherma Benosa, GAIA Asia Pacific Communications Officer,, corporations have unfairly placed the blame on consumers for the waste problem when it is them who have been putting out and profiting from the problematic products. Pinky Chandran, Co- Convenor Solid Waste Management Roundtable ( SWMRT), Bengaluru said, “We believe that this exercise will reinforce the need to put in perspective the importance of using a life cycle based approach to packaging, integrate the informal waste workers in resource recovery, choose recycling over incineration, and emphasise the need for companies to take responsibility in ensuring that end of life waste management of their products, thus closing the loop”. Through this concerted effort, ten organisations in India, namely CAG, Chintan, SWaCH, Stree Mukti Sanghatana, Thanal, V-recycle, Hasiru Dala, SWMRT, Zero Waste Himalayas–all members of GAIA–and Integrated Mountain Initiative, are coming together to question the preparedness and commitment of businesses to beat plastic pollution. These organizations have been working to implement Zero Waste solutions to combat problems around poor solid waste management. The organisations, together with the Break Free From Plastic movement, are waging war against plastic pollution to demand massive reductions in single-use plastics and to push for lasting solutions to the plastic pollution crisis. Note: This article was sent as a press release from SWMRT Bengaluru. Citizen Matters Chennai is partnering with CAG on the audit in Chennai, termed Kuppai Matters.